← Folk Hero makes HUGE kick for G-G-G-GENO and the JETS! A few years ago while channel surfing my way through a dull evening I came across one of those inane entertainment talk shows where brainless bleach blondes extol the dubious virtues of the latest pop culture heroes / phenomenons. I don’t usually watch this sort of crap. I find it almost embarrassing that anyone would care about such fluff. But I digress. I was about to change the channel when I saw this skinny, haggard looking fellow responding to some silly question in a high pitched English accent…a most annoying sound to say the least. I wasn’t sure if that was his voice, or if it was a joke. I later found out that the person being interviewed was one Russell Brand. Sometime thereafter I became aware that this same Russell Brand, he of the substance abuse problems, had been contracted to reprise the Dudley Moore role of Arthur in the new film re-make of the same name. My first reaction was , “Ugggghhhh..doesn’t anyone have an original idea in this era of re-makes, re-dos and sequels? And anyway..how could anyone reprise THAT role? 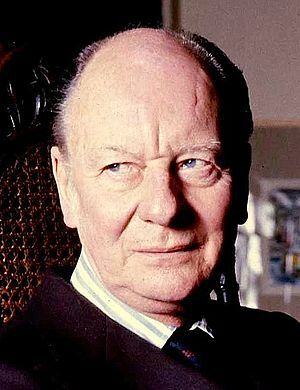 Moore was incredibly funny and Sir John Gielgud played the perfect butler/babysitter to Moore’s Arthur. One afternoon I’m in the studio recording a VO for a radio spot and my longtime business partner and collaborator Paul Brokaw says to me he saw a very funny movie called GET HIM TO THE GREEK, about a wacko, out of control rock star who needs to get to the Greek Theatre to do a show. 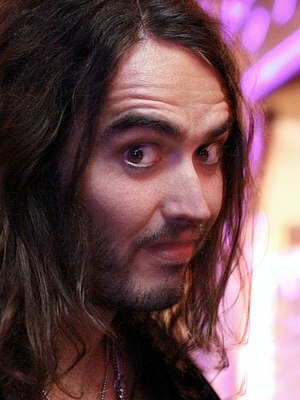 It stars Jonah Hill and once again this fellow Russell Brand. 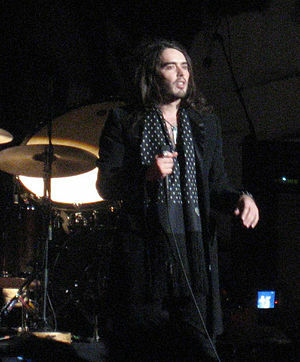 Russell Edward Brand. Born June 4 1975. According to Wikipedia, “In 2004, Brand achieved notoriety as the host of Big Brother’s Big Mouth, a Big Brother spin-off. In 2007, he had his first major film role in St Trinian’s. In 2008, he had a major role in Forgetting Sarah Marshall; the film led to a starring role in Get Him to the Greek in 2010. He also worked as a voice actor in the animated films Despicable Me in 2010, Hop in 2011, and Despicable Me 2 in 2013. He was cast in the lead role for the film Arthur in 2011. Brand has received significant media coverage for controversies such as his dismissal from MTV, his eccentric behaviour as a presenter at various award ceremonies and his drug use. In 2008, he resigned from the BBC following prank calls he made to actor Andrew Sachs on The Russell Brand Show, which led to major changes to the BBC’s policy. His prior drug use, alcoholism, and promiscuity have influenced his comedic material and public image”. He does have a list of formidable credits on his resume. The wife and I watched the re-make of ARTHUR On-Demand and I have to say I found it extremely entertaining and quite funny indeed. Maybe not as great as the original but quite good in it’s own right. In December 2010, on the TV talk show Chelsea Lately, Russell Brand was being interviewed by the quirky acerbic hostess. He had recently written a book called “My Booky Wook”. It is one of the funniest, insightful interactions between two people ever aired. Brand is very honest, open and delf deprecating about his various missteps in life. He exhibits quite an endearing charm. The dude has won me over. Some weeks later I came across Mr. Brand in a FACEBOOK post. In this particular video post he is “interviewing” 2 members of the Westboro Baptist Church. Check it out. garbage being spewed by the representatives of the Church. I remember John Lennon taking on Al Capp during the 1969 Bed-In For Peace in Toronto. Capp uncorked his nasty venom all over John and Yoko. Lennon similarly diffused the situation with sensitive yet cutting humour. I can see Brand carrying Lennon’s comedic sensibilities to a new younger generation. I think he’s doing an admirable job of it. Sorry I judged the book by the cover. Better to read it first. It’s official…I’m a fan. This entry was posted in Bio, comedy, Pop culture, Uncategorized and tagged Arthur, Chelsea Lately, Dudley Moore, John Gielgud, John Lennon, Paul Brokaw, Russell Brand, Westboro Baptist Church. Bookmark the permalink. 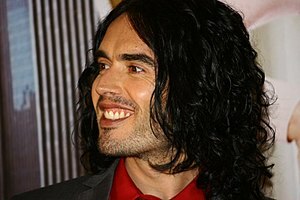 Russell Brand rocks! He’s very funny, he’s got a good heart, and his politics are in the right place (as far as I’m concerned). Didn’t he also have a great interview on Fox/Faux/False News, kind of like his interview with the WBC guys? Anyway, I’m sorry to learn about his substance abuse problems, and the only other disappointment I have with him is his choice of wives (Katy Perry). Although that didn’t last long, so maybe he was equally disappointed. 🙂 It’s just hard to believe that he was born in the same month I graduated high school. !!! You don’t have to be old to be funny! His substance abuse problems and his apparently addictive personality have not held him back. He got help and he has recovered and prospered! A nice story for a change.